David Gauthier (60kg) left no doubt who the winner was in his debut bout in Argentina. Gauthier showed his superiority with clean and direct punches ensuring that the referee would be raising his hand at the end of the bout. He won a unanimous decision against Uruguay’s Eduardo Estela. With the win, Gauthier advances to the quarterfinals against Jaime Munoz (PAN) on Wednesday, March 16th in the afternoon session. The first Canadian female boxer to jump in the ring during the evening session in Argentina was Mandy Bujold (51kg). The 2X Pan American Champion faced hometown boxer Clara Lescurat but the crowd didn’t intimidate Bujold’s steady performance. Bujold kept her guard, always alert, and did more than enough in the four rounds to get the win. Bujold will now face Grazieli Jesus de Souza (BRA) in the semi-finals on Thursday, March 17th. 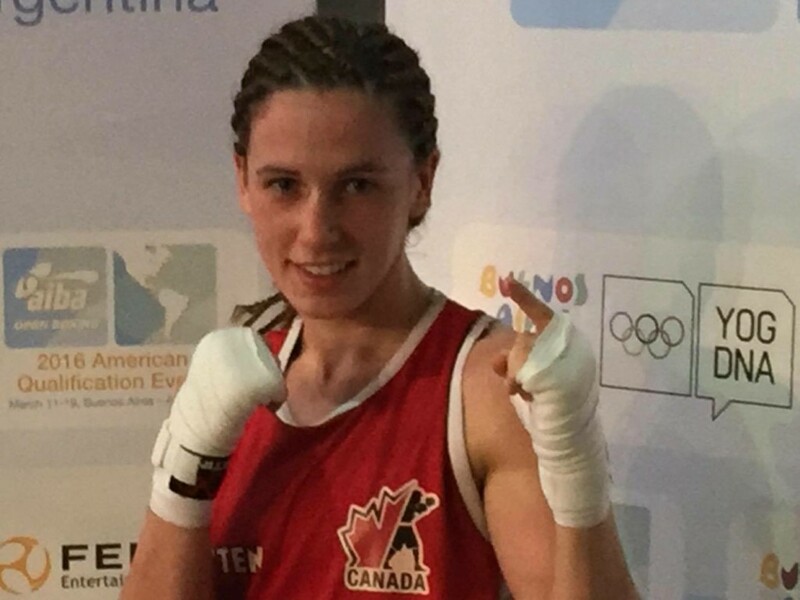 The second Canadian female boxer was 60kg Pan American champion Caroline Veyre, who, unfortunately wasn’t her 100% and couldn’t get inside the much taller Mikaela Mayer from the United States. Veyre is now eliminated from the tournament and will try to earn her Olympic spot at the World Championships. Two-time world champion, 75kg Ariane Fortin, won her debut bout by unanimous decision with a very strong performance against Venezuelan Francelis Carmona. She now moves on to the semi-finals and will face Andrei de Oliveira (BRA) on Thursday 17th in the afternoon session. Both Mandy Bujold and Ariane Fortin need to finish amongst the top 2 of the weight category in order to qualify to the Olympic Games. As for David Gauthier, he needs to finish in the top 3 to earn his spot.